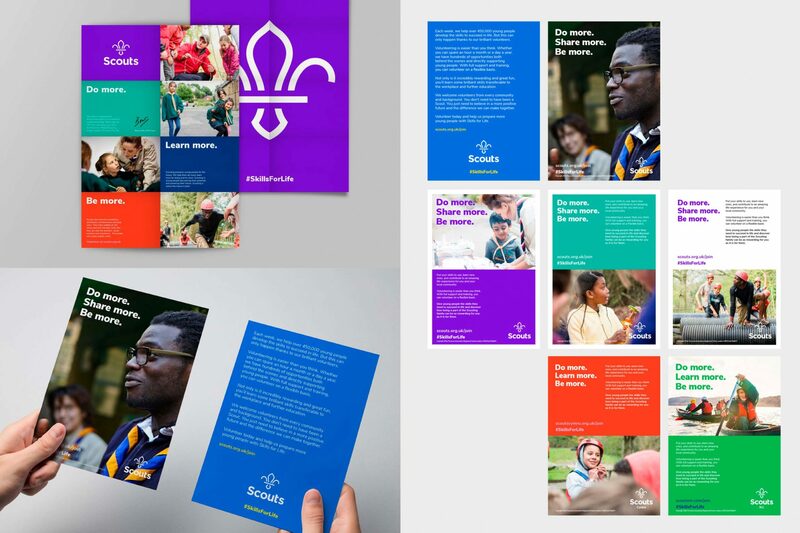 Earlier in 2018 The Scout Association embarked on a new branding exercise, which would see their iconic brand revamped for the first time since 2001. 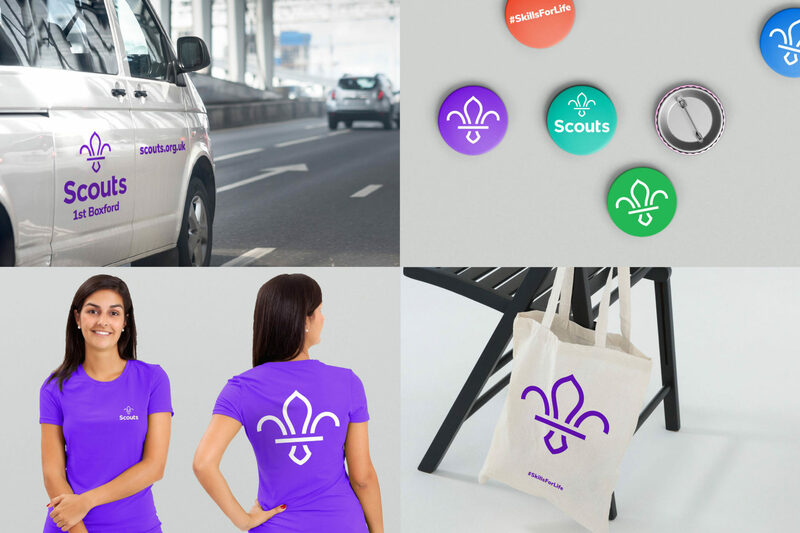 It represented a huge opportunity to attract a more diverse set of volunteers and recruits, but also develop the brand into the digital age ensuring it worked seamlessly across all media platforms. 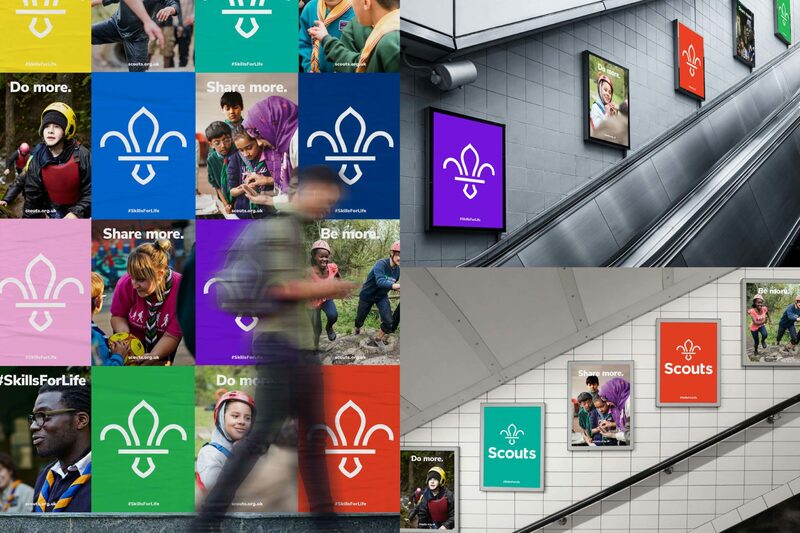 Having worked with Scouts for over 10 years our latest role was to deploy Brand iQ and act as their partner to ensure the efficient and seamless implementation of the new brand to the 7,000 Scout groups across the UK. A strategic approach – Our first objective is always to understand the requirements in detail to effectively scope and plan a project. Therefore we worked closely with the marketing, brand, comms and other internal teams to develop a strategic plan for the launch. This included a thorough review of designs, print materials, merchandise, group structure and digital content. 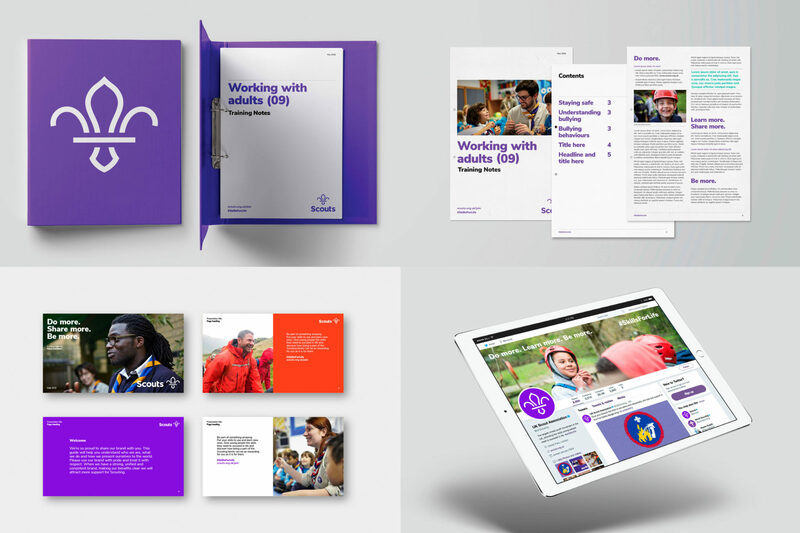 Personalised access – Our platform was setup to ensure each UK wide group had access to the main brand, as well as localised branded templates and colour palettes, essentially personalising the content, categories and items available. Digital Asset Management – Our platform provides a DAM component that allows assets to be stored, categorised, customised and shared. 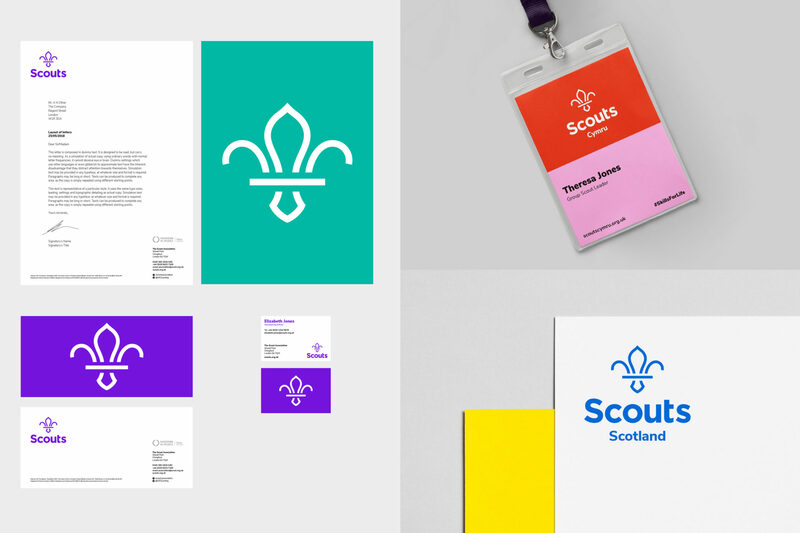 An intuitive logo generator enabled the groups to create customised logos and update social and other digital channels within minutes of the new brand launch. Fulfilment – Brand iQ doesn’t just represent technology, it’s the end-to-end process from concept to delivery. 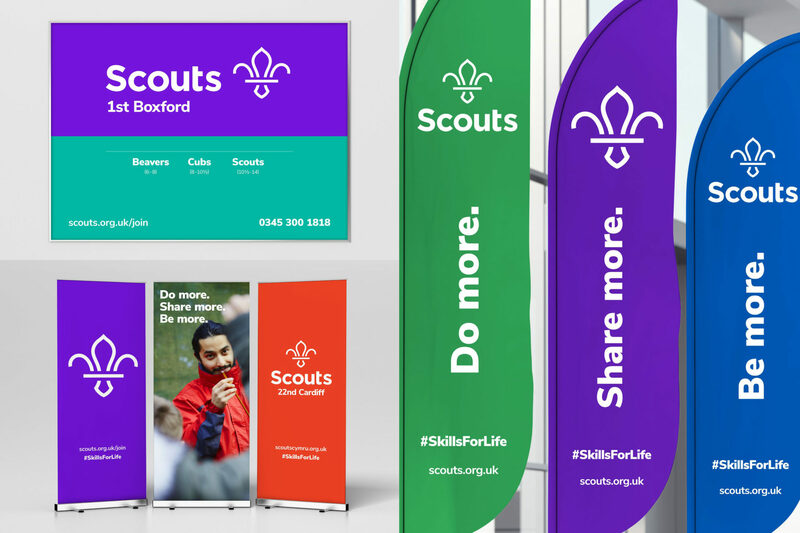 One of the biggest challenges faced by Scouts is timely and accurate delivery of personalised print, stock materials and merchandise. Our platform acts as an order management and process tool, with our in-house production teams using it to efficiently produce, pick, pack and despatch. Ensuring every group receives a high quality product and service. Scouts catalogue of items is vast, but in a 3-month period we have already successfully processed, produced and delivered 9514 orders. Onboarding and support – Training and onboarding such large volumes of geographical disparate users and then providing a wraparound support service represented another big challenge. Brand iQ has been designed as an intuitive online solution that anyone can use without training by following a familiar user interface and flow adopted by other ecommerce providers such as Amazon. Our dedicated support team were on hand to answer queries and support users to ensure a seamless rollout process. Brand iQ will continue to grow and be refined in line with user feedback. 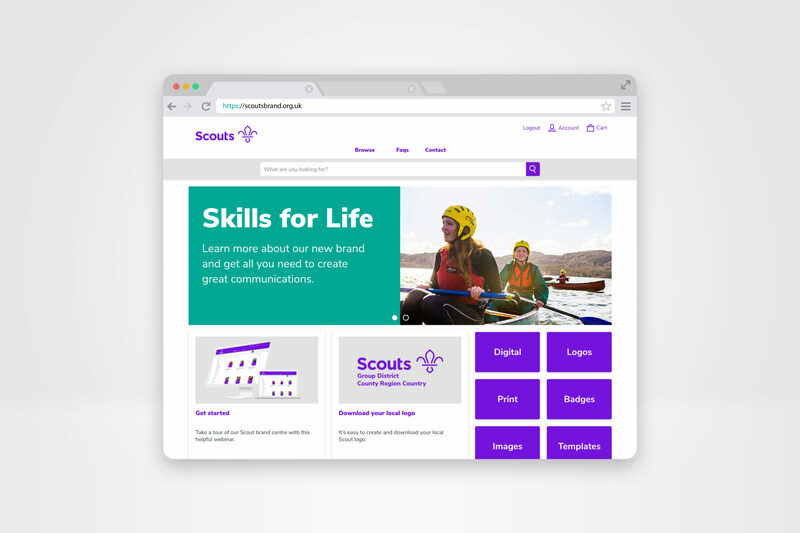 The platform benefits from a proactively managed roadmap that will ensure new features are continually deployed to deliver a best in class brand management solution to support Scouts. The solution has been built around our proprietary platform, Brand iQ. A bespoke platform written using the Laravel PHP framework for its excellence in speed and security. The platform is hosted using a high availability virtualised solution (Digital Ocean) and benefits from robust daily backups to the Amazon cloud (AWS) with a 1-hour disaster recovery solution in place. In order to maintain scalability and versatility numerous APIs were developed to enable seamless data interchange between Scouts systems and integration with our reporting platform. Securely managing user data is essential. The platform uses AES-256 level encryption and conforms to ISO27001 for data security.